I know, I know. It’s Halloween and you’re probably not even home from Trick-or-Treating yet and here I am talking about Christmas. But hey, I held out a lot longer than most stores did, right? I’m on the Blogland calendar where holiday preparations were well underway over a month ago (as evidenced by my Christmas decorations spread out all over the basement). Even though thinking about Christmas this early might make some of us have palpitations, honestly it’s not too early, especially if you want to make DIY holiday gifts. 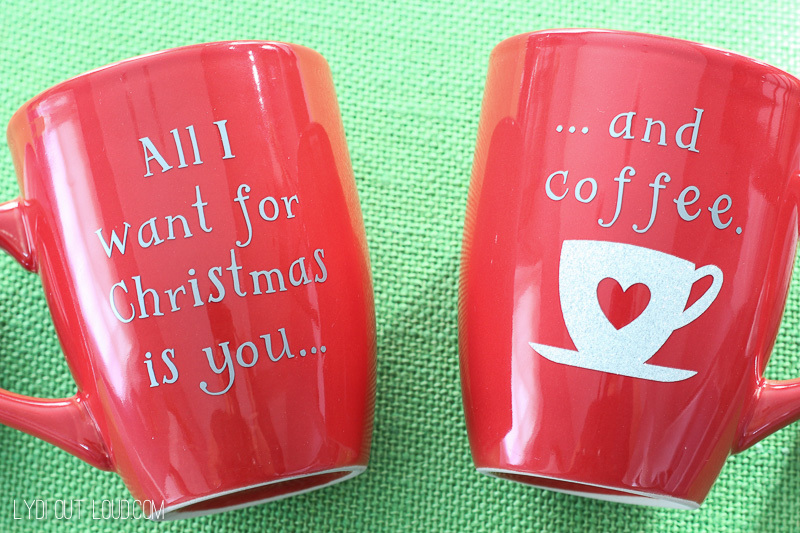 Today I’m sharing these DIY Christmas coffee mugs; a quick Christmas gift idea that is embarrassingly easy to make. Oh, and when I say quick, I mean like 10 minutes quick. Are you down? Ok, back to the DIY! Open the cut file in Design Space and adjust the number of colors/materials as you like. 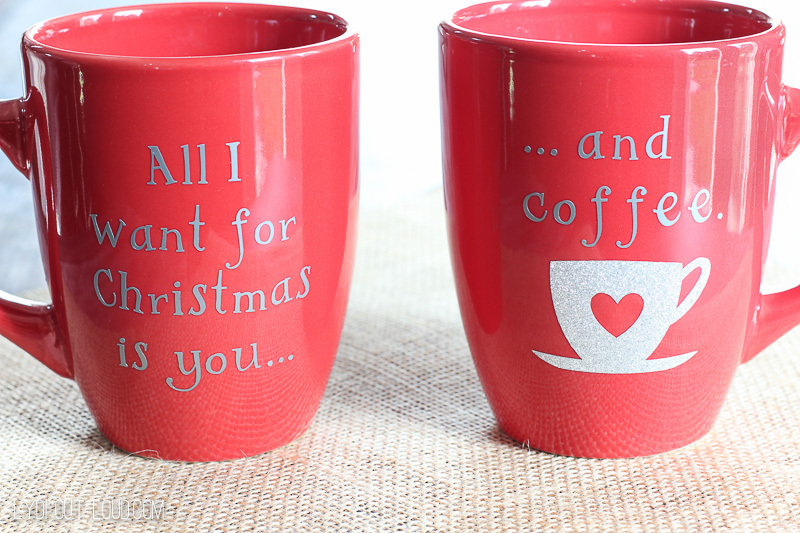 I used Silver Metallic Vinyl for the lettering and Silver Glitter Vinyl for the coffee mug. Press “Go”. 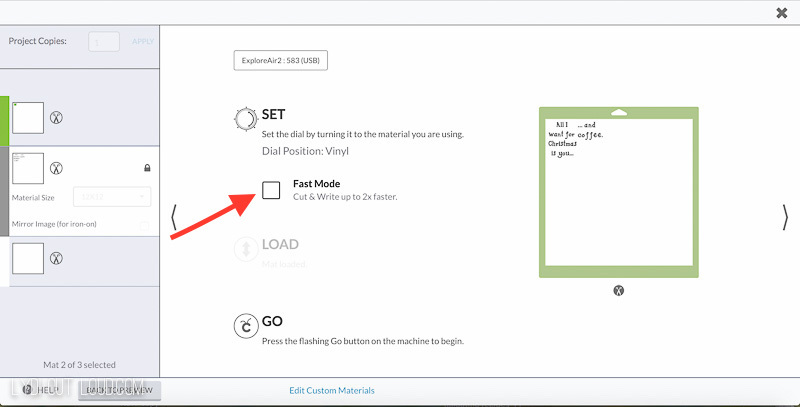 Set the dial on the machine to select the material you’re cutting. Here’s where the new Cricut Explore Air 2 blew my mind. See that red arrow? This is a new feature that cuts and writes up to 2x faster. 2.times.faster. Mind = blown. 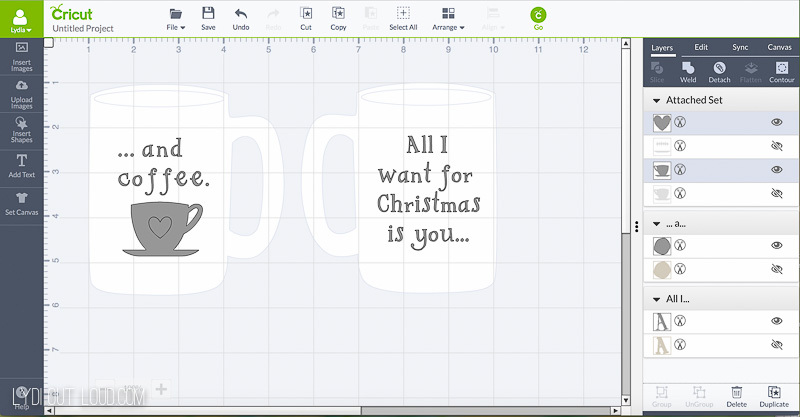 What that means to me (especially at this time of year) is that I can make twice as many gifts in the same amount of time with the new Cricut Explore Air 2. 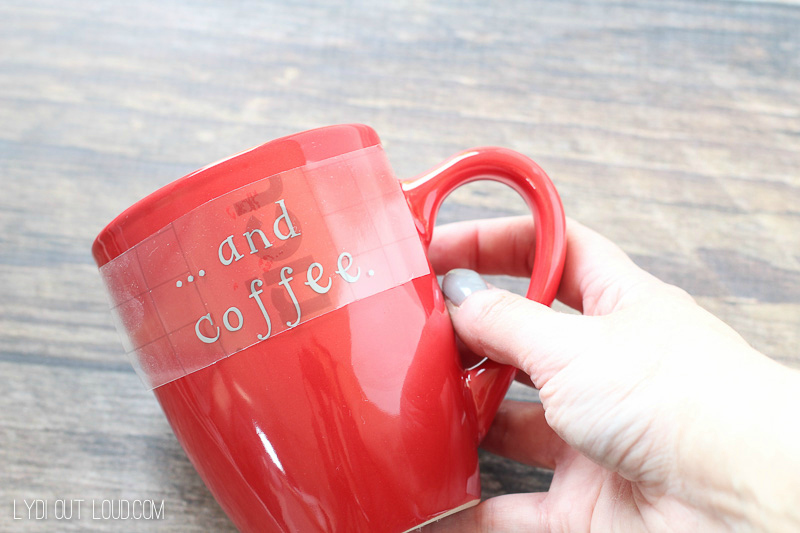 Cut vinyl lettering and glitter vinyl mug; apply with transfer tape. 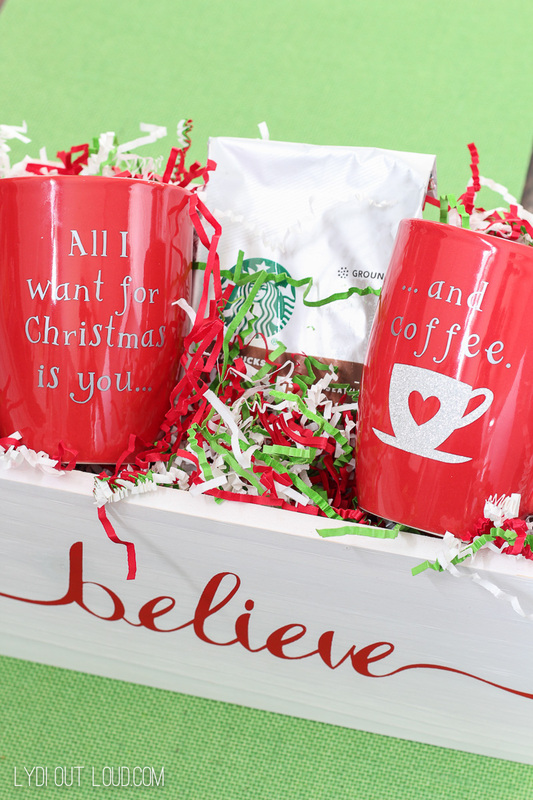 Pop these DIY Christmas Mugs in a box or basket with some coffee and you have a lovely, inexpensive and easy hostess or holiday gift! 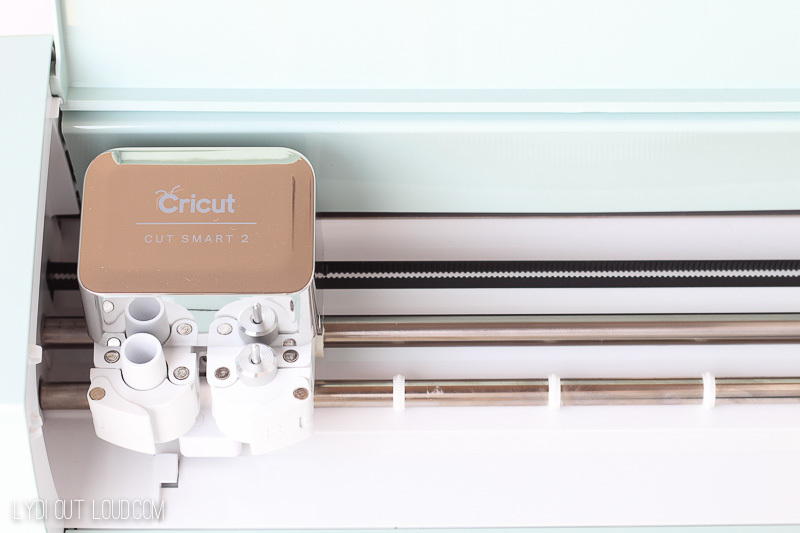 Watch the clip below to see the Cricut Explore Air 2 in action; it really is a wonder machine. It has the features I love from the Cricut Explore Air like being able to cut over 100 materials, has bluetooth for wireless cutting, cuts printable images, etc. etc. But that 2 times faster thing… Whew. Game changed. 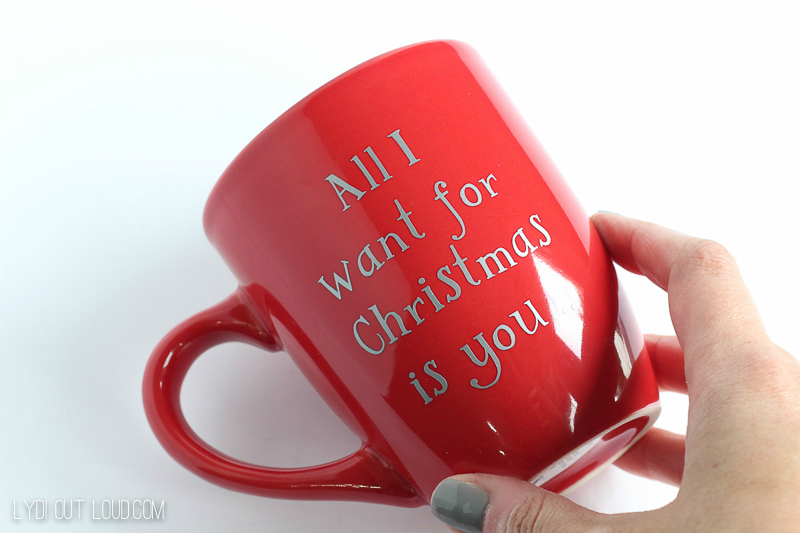 What are some gift ideas you would want to try with the Cricut Explore Air 2? 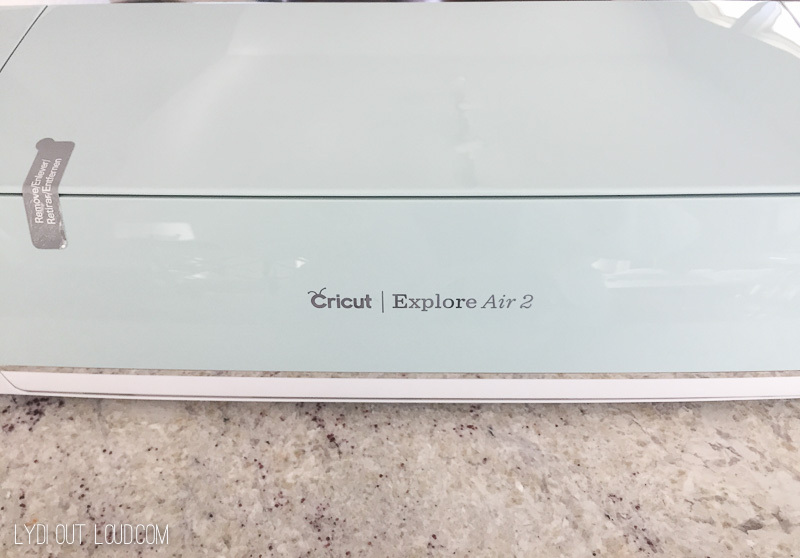 I received the Cricut Explore Air 2 at no cost for review purposes. All opinions are mine. Affiliate links provided. How do you clean them without ruining the vinyl Cricut embellishments? Hi Nicole! I suggest hand washing unless they’ve been treated with a sealer. So cool!! I really want one!!! Love it!! I want one of these machines. So many possibilities!